I still remember my first computer. In the early 90’s my dad bought a lot of Mac Classics from a school that was getting rid of them. I loved that computer and played all my favorite games on it. Young Christian had no idea how much myself and the whole world would rely on computers. I use my computer for my job, to write this blog, to stay connected with friends and family, and much more. As I’ve learned more about the dangers of EMF radiation I’ve become increasingly cautious of how and when I use my computer. Computers, tablets, cell phones, and other electronics, all radiate EMFs and are extremely dangerous. My wife and I just had our first child, a baby girl, and I am extremely cautious about her exposure to these electronics, as small children can be extremely vulnerable to these devices. As I was taking time to research ways I can reduce my exposure to EMFs, I started to write up a list of all the things I can do. This post is an expansion on that chicken scratch list. If you’ve bought a computer any time in the last 5 years, there is almost a certainty that it has wifi built in. We’re far past the days of getting separate wifi cards or adapters for our computers. The problem is, Wifi does emit RF radiation, a type of EMF radiation that is very harmful. Whether you have a desktop computer or a laptop that you use, it likely uses Wifi, so let’s take care of that. Now that we’ve hardwired internet to your computer, you need to actually disable Wifi, you can do this in 1 of two places. Ideally, you’d just disable it on your router. Unfortunately, if there isn’t a wifi button on the router itself, it can take a little bit of work in the settings to accomplish this. I’d suggest just googling “How to disable wireless on (your router name here).” That is the best solution. The second best option is to disable wireless on your device. 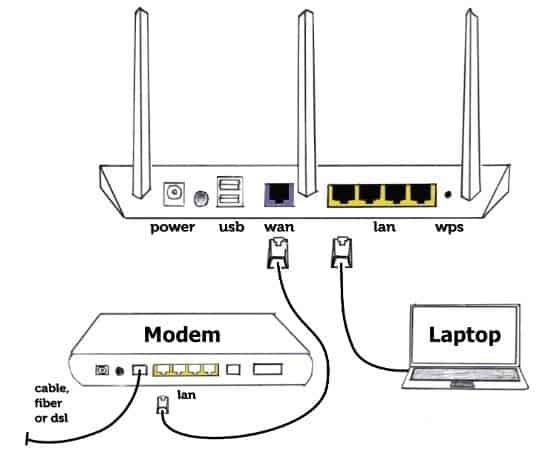 Just because you hardwired your computer for ethernet, doesn’t mean that wireless is still not turned on and running, constantly pinging and looking for a wireless network. Using your laptop when it’s on your lap, especially when it’s connected to Wifi, is completely terrible for you. I understand, it’s extremely convenient to have your laptop with you when you’re on the couch, or in your recliner and watching TV, but trust me, it’s not worth it. Check out my post on EMF Radiation and Fertility for an in-depth look at how EMF radiation can be dangerous, including a section about laptops. Suffice it to say, it is not safe or healthy to use it directly on your lap. Luckily, this is one area of EMF protection where an actually helpful product exists. They make EMF radiation shields for your laptop. It’s basically a lap sized desk for your laptop to rest on, that reduces 100% of radiation, as well as reducing heat exposure by 99%. You can check out my full guide to EMF protection laptop pads here. I’m currently using this one from Defendershield and I absolutely love it! If you are going to use your laptop on your lap, and not use a shield, at least try to rest it on a pillow or thick blanket to reduce the distance and heat exposure. Also, if possible, turn the wireless off, as the RF radiation from the wifi is one of the biggest dangers. Electrical field radiation can cause all kinds of issues when you’re using a laptop. With similar symptoms to that of general EMF radiation exposure, see my post on this. This most commonly occurs because your laptop is plugged into power, but is not grounded (or earthed to some). If your computer isn’t grounded, as your wrists rest on the laptop case, you can be absorbing a significant amount of radiation. 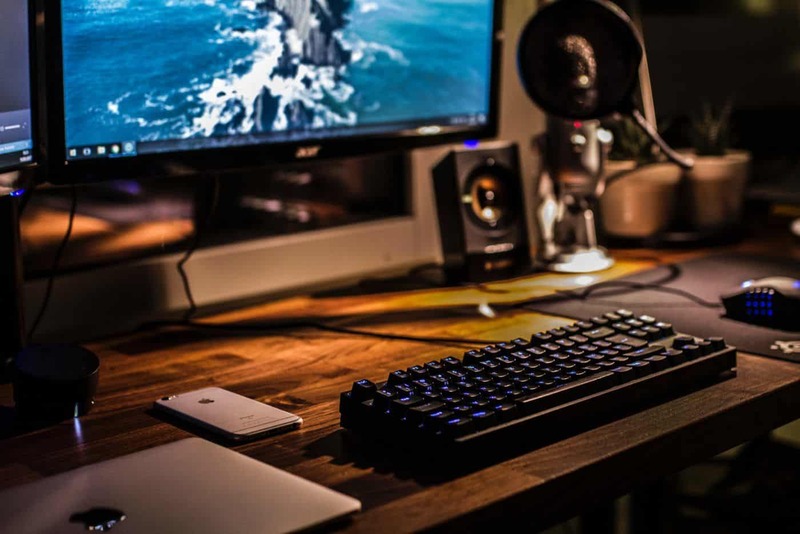 Expect to feel things like restlessness, fatigue, discomfort, tingling in the wrists, and aches and pains in the wrists and hands, especially as you type for extended periods of time. Some people just naturally assume some of what they are feeling must be carpal tunnel because of the angle of their wrists. This may be what is happening, but it could also very likely be an issue resulting from extended electrical field radiation. Although it is less common to have any power cords that are not grounded in 2017/2018 as I am writing this, I still see it all the time. Luckily, there is a pretty simple solution, let me walk you through it. First of all, just let me say, there are two very simple ways to not have this even be an issue. First, just use your laptop when it is not plugged into power, and grounding will not be an issue. Second, if you’re power cord has a three-pronged plug (in North America), then it is a grounded cable, and you won’t have to worry about this. That third prong on the bottom just grounds the connection. So if either of these is the case for the laptops and devices in your home, just skip this little bit and head to tip number 4. If your computer has a 2 pronged cable, there are a few things you can do. First of all, you can get real with me for a second, and realize it’s 2017/2018, and if you have a laptop with a 2 pronged cable, it’s probably time to upgrade (kind of joking 🙂 ). If this isn’t really an option for you, the next thing you can do is try and ground your laptop. You can do this a couple of ways. First, they make a grounding cable that you can apply to just about any electronic device. One end is just a three-pronged grounded cable, and the other end is a little metal clip, like a very small version of the end of a jumper cable. You can just connect this bad boy to a screw or plug on your laptop, and it will ground it similar to if you just had a three-pronged cable. You can also just take a wire and attach one end to something metal on your laptop, and the other end to the ground terminal of your wall socket (Caution: be careful please). We’ve talked about electrical field radiation, now let’s talk a little bit about magnetic field radiation. If you have your laptop on your lap, or your computer close to you at all, you should be aware of this. it has been consistently shown that this type of radiation, even in small doses, can be quite harmful. Magnetic field radiation from laptops comes from a few things, most commonly though from the transformer either in the computer or on the power cable. On the cable, you’ll usually notice it as being the small box halfway through the cord, or the small round tube halfway down the cord. This transformer is in charge of converting the electrical connection to the correct voltage for your computer to use. This is a major producer of dirty electricity (see my post on it here). Unfortunately, if you’re using a desktop computer, there isn’t a lot you can do about the transformer inside the computer or the magnetic radiation in general. However, whether you are using a laptop or a desktop, consider doing things to give you a little distance from the device. One, if you’re using a laptop, consider using a separate corded keyboard and mouse to give you some distance. Also, even if the cable is grounded, try to keep the transformer portion of the charger as far away from your body and head as possible. This one should be fairly self-explanatory, and I’m as guilty as anyone of not listening to my own advice. It’s really important to take breaks whenever you can, and whenever it’s reasonable. Try to never be on your computer for more than an hour or so without walking completely away and taking a break. This gives your body relief in all sorts of ways. You step away from the computer radiation exposure in the forms of electrical and magnetic fields like we’ve talked about. You also give your eyes a much-needed break. If you have a current iPhone, you’ll notice that you can actually turn on a “night mode.” This does what many computers can’t do, it gets rid of the blue light coming from your screen. This blue light has been shown to have pretty surprising health risks. The blue light also has been shown to also inhibit your ability to get good sleep. Suffice it to say, one of the most important ways to reduce computer radiation exposure is to take consistent breaks. Believe it or not, there are actually at least 4 household plants that have been shown to help absorb and dissolve some EMF Radiation, as well as some toxins and indoor pollution. Aloe vera is an extremely healing plant. More importantly, though, it has been shown to absorb EMF radiation through its meaty leaves. It is a drought tolerant plant, so it is very easy to take care of and have around your home. An added benefit, if you or your children get a sunburn or small cut, this can come in very handy! This is probably the best household plant you can have around your home. Cacti have been shown to be an extremely effective plant at absorbing EMF radiation. I have quite a few small cacti around my desktop computer in my office downstairs. I plant to get some larger cactus for around the house. Luckily, most cactus varieties have also been shown to be good absorbers of toxins in the home. Also known as the snake plant, it is a small tree whose leaves are effective at absorbing radiation from your computer. Snake plants grow well indoors and you will sometimes find them in large offices full of cubicles, since the plants are so efficient. This is a beautiful small plant ideal for the top of a desk. It is also efficient at absorbing radiation from computers. It is also extremely easy to keep alive, as it does not require much light or water, and it can flourish just about anywhere. There are a plenty of other plants out there that are effective at absorbing EMF radiation. Most of these plants you can find at your local home depot or nursery, so go out and grab a few for your house! Himalayan salt lamps give off negative ions into your home. It is believed that these negative ions work to maintain an ionic balance in your home. In this way, the lamp helps to cancel out some of the EMF exposure in your home. 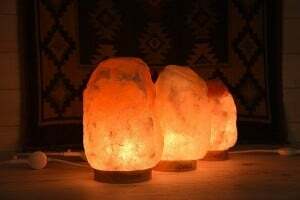 Although the ability of a Himalayan salt lamp to reduce EMF radiation in the home is still being studied and has not been completely proven, getting a lamp is still very worth it, as research HAS shown their positive effects on the human immune system as well as improving mood. I have three of these lamps, one in my office, one in my wife’s office, and one in our bedroom. We picked these up from Amazon. Whether you’re using a desktop computer with a monitor, or your laptop, you want to try to find the sweet spot with distance. It has consistently been shown that when it comes to EMF radiation exposure, even a matter of millimeters farther away can make a difference. You want to try and be around 2-4 feet away from the screen if possible. Try to have a large enough resolution that you can read without straining your eyes, while still keeping a fair distance. If you do have a desktop computer, they do make radiation filters for your screen. Whether you are using a laptop or a desktop, get a separate set of wired keyboard and mouse. Wireless periphery devices can themselves emit a small radio frequency field that can be harmful, you will always be better off going wired whenever you can. When i’m traveling, I carry a small wired keyboard and mouse combo in my laptop travel case. This way, whether I’m with friends and family, or in a hotel room, I can just set my laptop a bit farther away, and just use the mouse and keyboard I brought. This one might sound silly, but it’s actually an extremely important step to keeping your body healthy and protected. EMF radiation exposure is all around us these days, and there isn’t always something we can do. Eating a generally healthy diet, and supplementing with a lot of antioxidant rich foods really gives the body it’s best chance to fight off computer radiation. Probably the best and simplest step I have for you, just limit your exposure to devices. I know that most of us need a computer to work, and stay connected with friends and family on social media. However, and i’m as guilty as anyone, it is really easy to just tinker around on a computer, or scroll endlessly through Facebook. If you’re not being efficient with your use on the computer, just step away. Finish that email, or that blog post, or that Facebook message to a friend, and then go find something else to do. Devices with screens are highly addictive, be the type of person who is strong enough to just walk away. I hope you found these ways to reduce computer radiation exposure helpful! If you did, share them with your friends and family!